Across the Middle East and North Africa, people have risen up to try to overthrow their undemocratic governments, and these uprisings have been met with state-sponsored violence and repression. Now Notts Anti-Militarism can reveal that several of these repressive regimes have been armed by a company with an international sales office in Nottingham: Heckler & Koch. 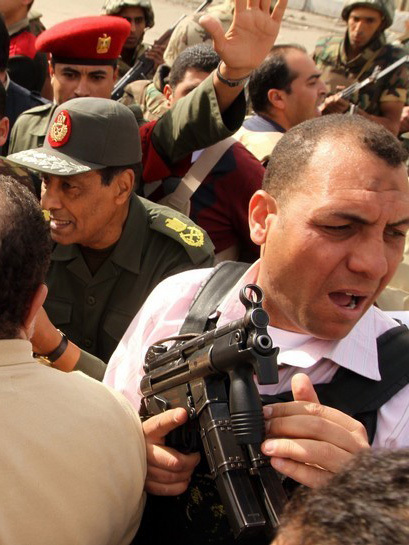 In Libya, forces loyal to 42-year dictator Muammar Gaddafi have been slaughtering civilian protesters in the streets. According to Jane’s Infantry Weapons, Libya’s armed forces are still equipped with Heckler & Koch G3 rifles. They bought these rifles from the Greek state manufacturer, which was in turn licensed by Heckler & Koch. The company has used the type of deal many times in order to profit from arms exports that would not be allowed in its home country. The regime in Bahrain has also been shooting pro-democracy demonstrators. Bahraini forces are equipped with the more up-to-date MP5 submachine gun. This weapon is also used by the armed forces of Egypt, Jordan and Morocco, all of which have seen pro-democracy demonstrations recently. 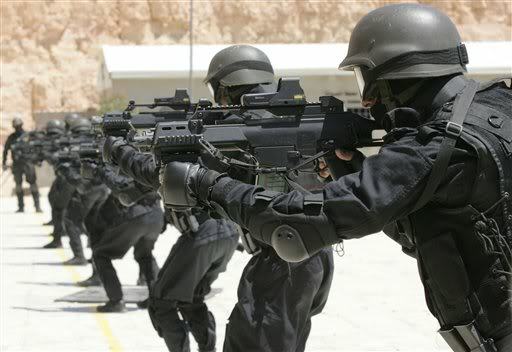 Jordanian forces are also armed with Heckler & Koch’s modern G36 assault rifle. And these are only the countries that have seen recent pro-democracy uprisings. Heckler & Koch weapons are used by other repressive regimes in the region, including Lebanon, which teeters on the brink of civil war, Sudan, which has been riven by conflict for decades, and Saudi Arabia, whose autocratic regime is characterised by gross abuses of human rights. This is just a snapshot of the profile of Heckler & Koch, whose weapons have been sold to undemocratic and repressive regimes around the world, and have killed at least 1.5 million people. If the people of the Middle East can face down the bullets in a once-in-a-lifetime fight for freedom, then the people of Nottingham can rise up and end the company that makes these weapons.